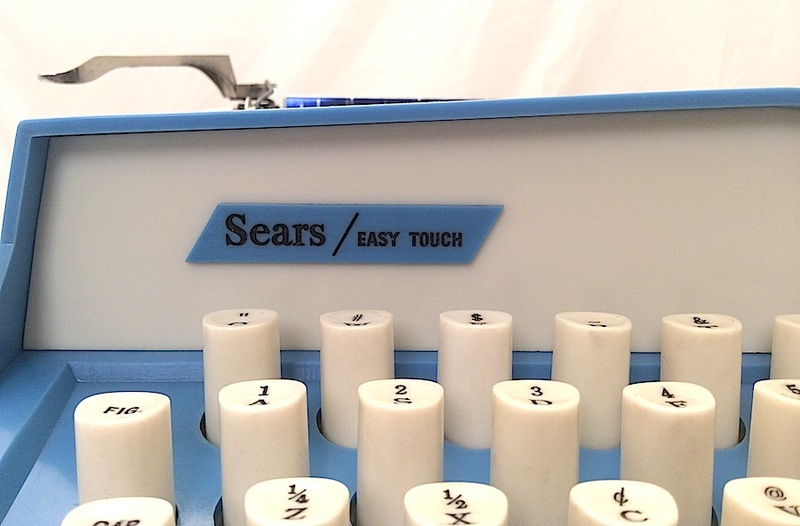 The Sears Easy Touch does not quite live up to its name. 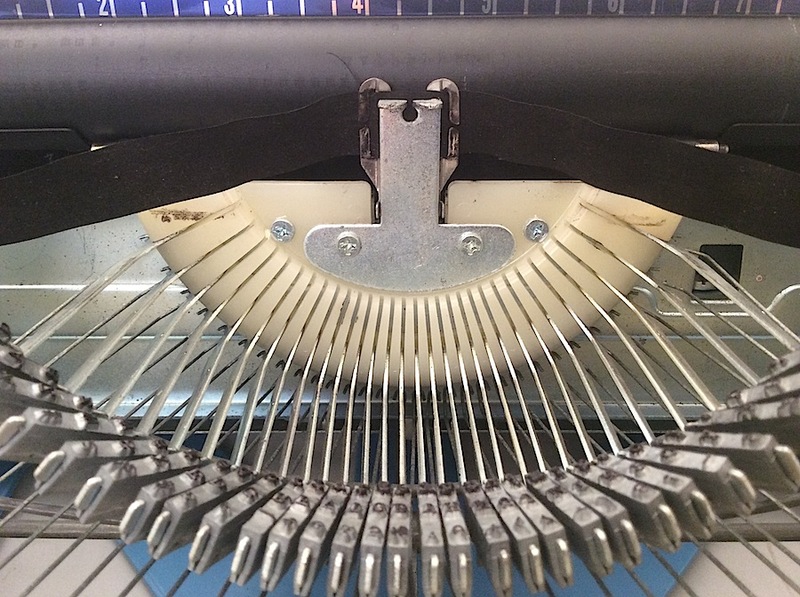 Slotted keys make typing a real challenge and the alignment is so variable that no two lines ever line up. Nevertheless, it’s a fun toy. 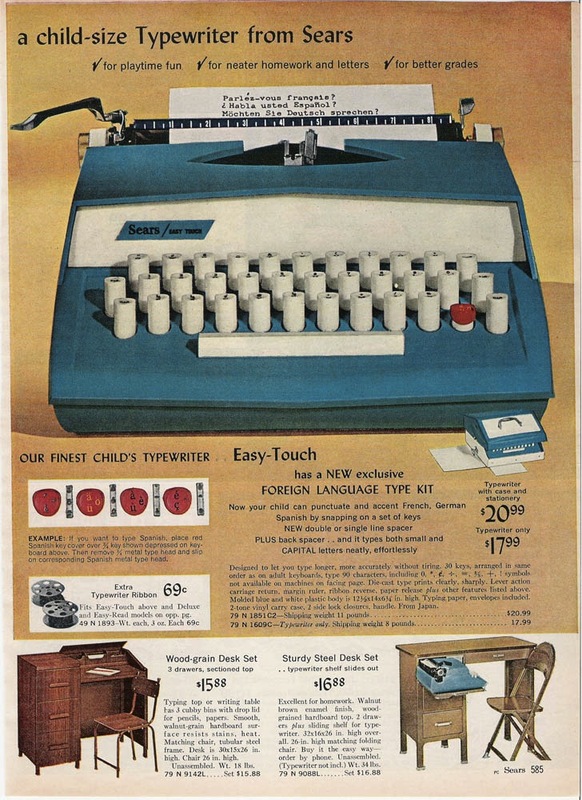 This plastic-framed typewriter sold for around $20 in the mid-1960s, and included a foreign-language type kit. Users could swap English type for German, French and Spanish slugs, and even rearrange the QWERTY keyboard. 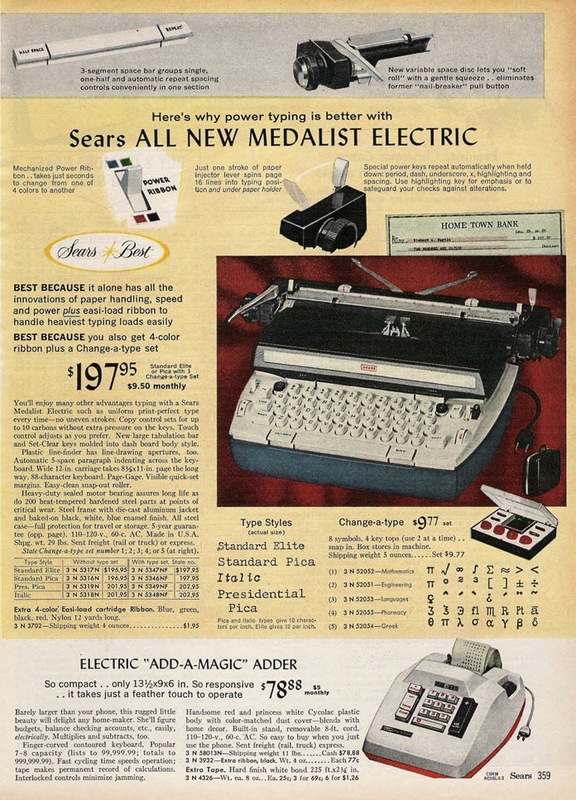 The kit is similar to one found on the electric Medalist typewriter which Sears offered around the same time (see advertisements below). 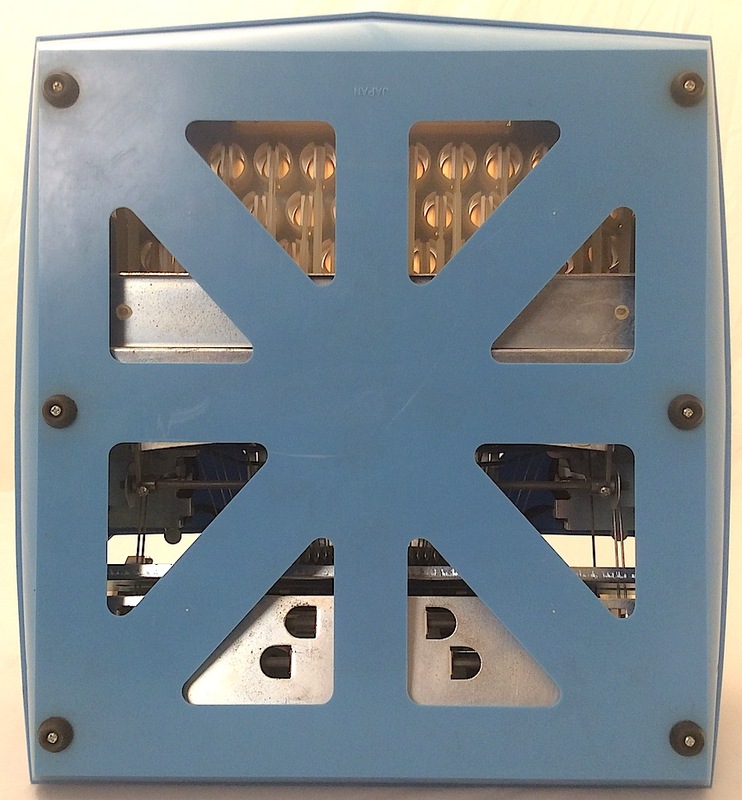 On the Easy Touch, the kit seems to have been introduced about a year after the machine’s introduction in 1965. 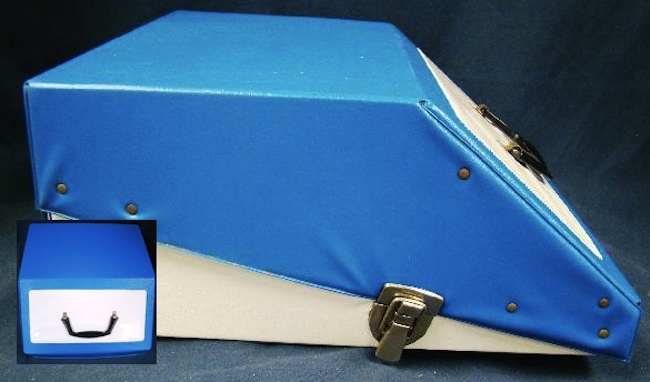 The Easy Touch was offered with optional carrying case, but a label on the inside suggests customers simply use the box. 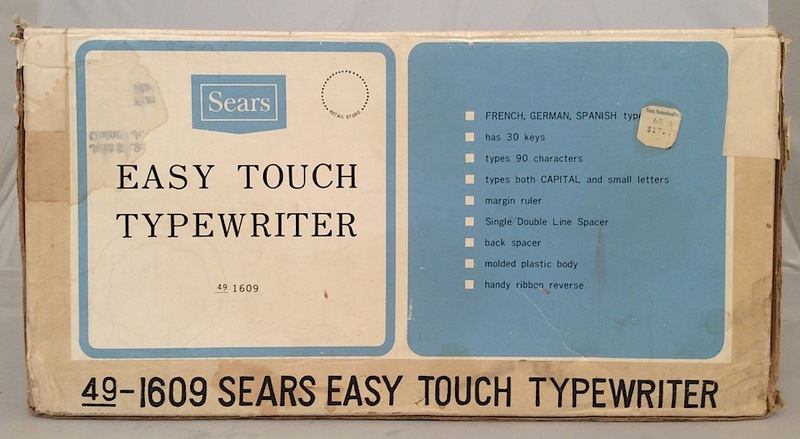 Collector Michael Hoehne offers a good write-up about the Sears Easy Touch at TypewriterDatabase.com — see here. 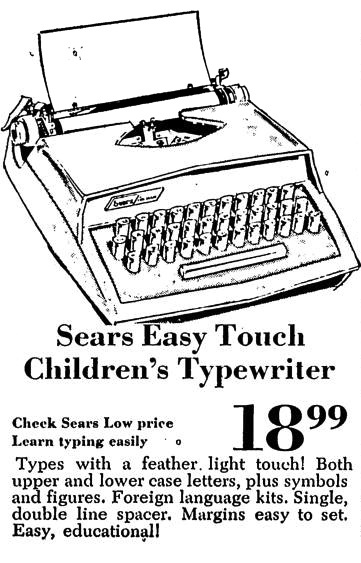 Later, Sears applied “Easy Touch” to a series of adult machines. 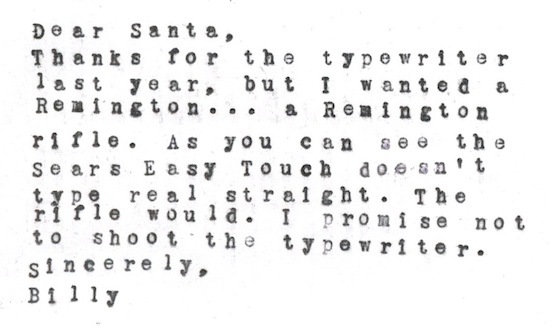 From the Gettysburg Times, Dec. 6, 1965. 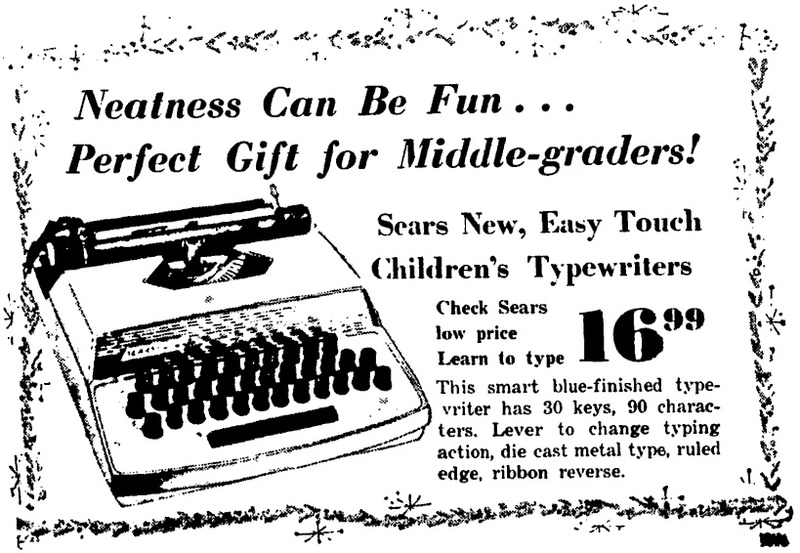 From a 1966 Sears catalog, curtesy WishbookWeb.com. From the St. Petersburg Times, Dec. 7, 1967. 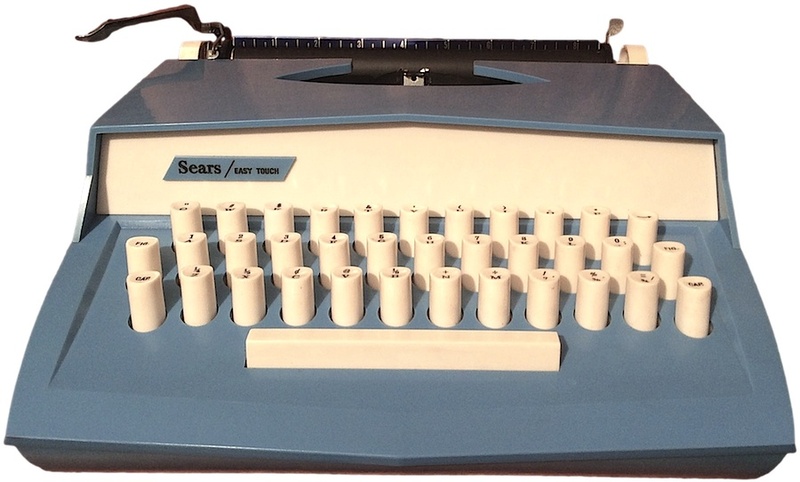 Alongside the Kamkap toy typewriter from about a decade earlier. 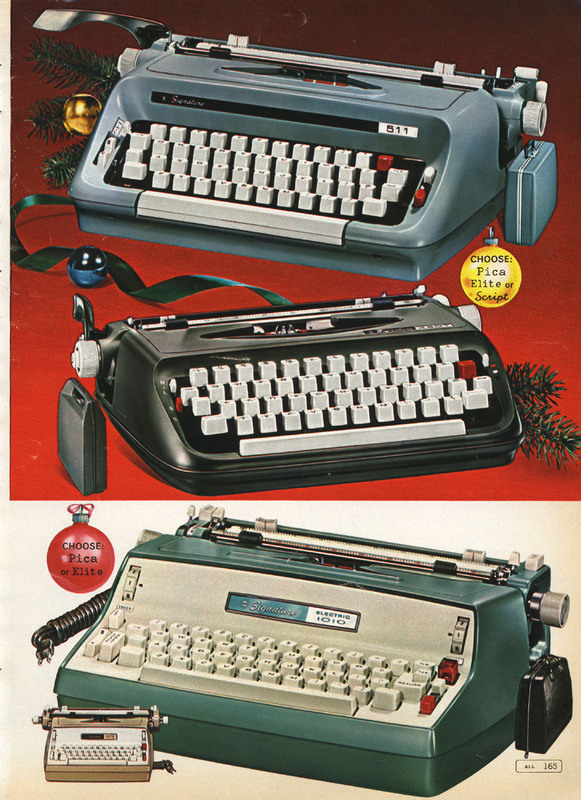 I have to say a bunch of the fun of collecting Sears-branded machines is how much you can learn from the Christmas Wishbooks online. I just wish the full yearly catalogs were scanned and available online. 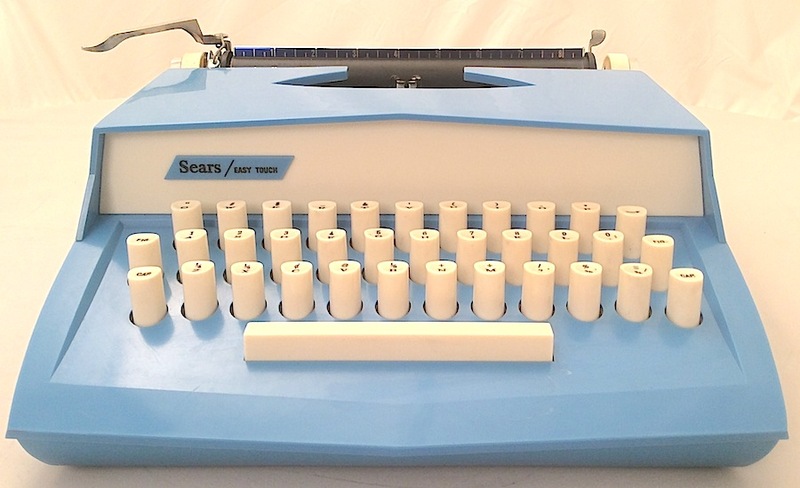 It’d be pretty cool to have a complete catalog of all the machines Sears marketed. I acquired mine at ShopGoodwill.com for $15 (about what I was willing to spend). 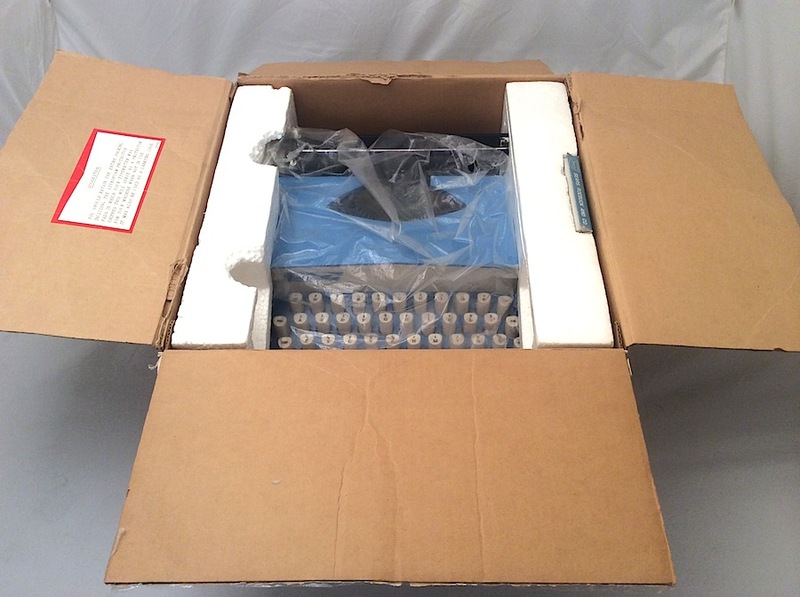 Yes, for a toy typewriter it is surprisingly full-featured, just a lousy typer. 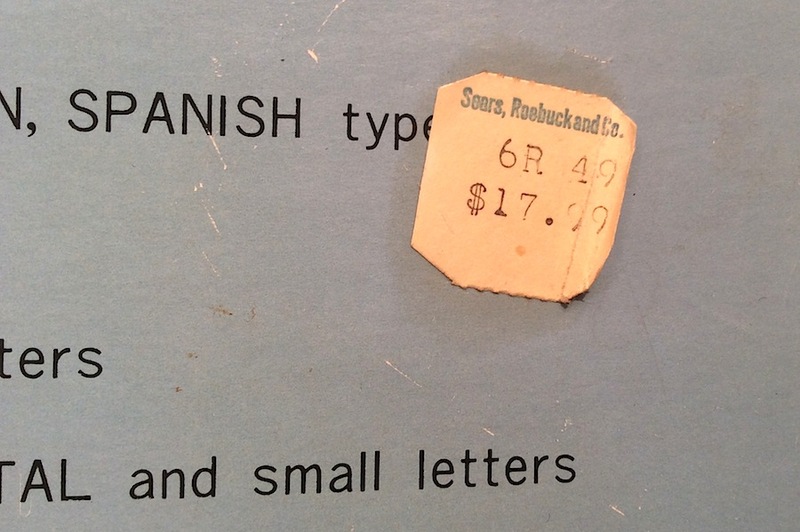 Then again, for $18 (1960s dollars), it wasn’t a bad deal. 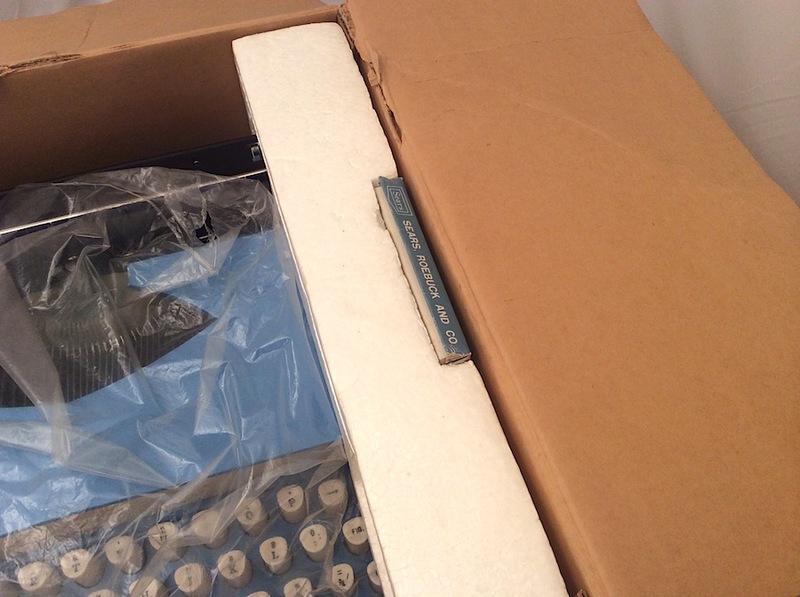 What fascinates me most about this machine is that an adult typewriter also came with a foreign language kit. That would be a nice item to acquire as a companion piece. 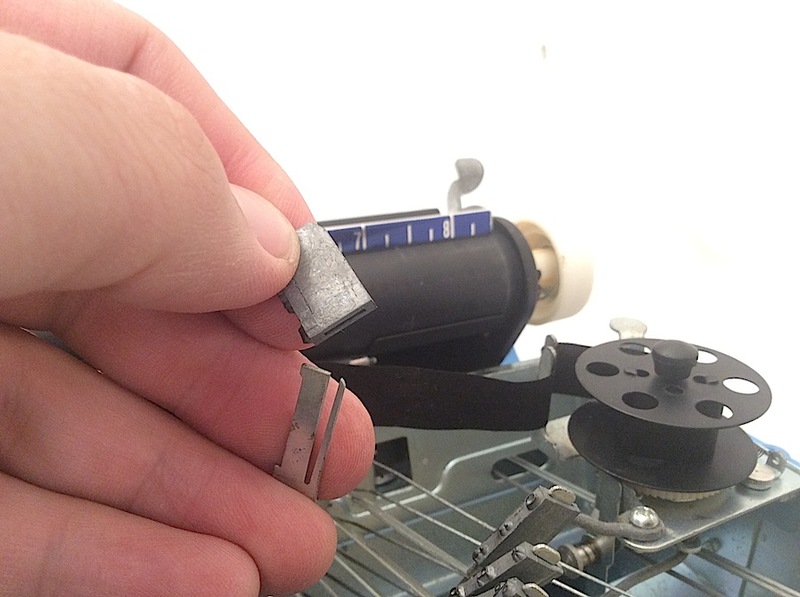 That Electric 1010 is a Brother machine, eh? Yeah, I’ve got to agree with you. 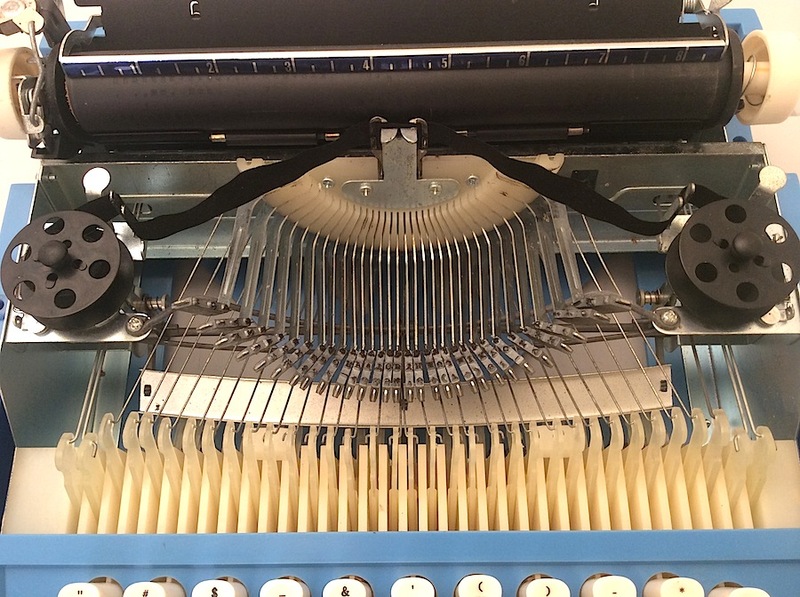 The Easy Touch is a miserable little typer — so many features, but such crooked lines. I doubt, though, that children minded. 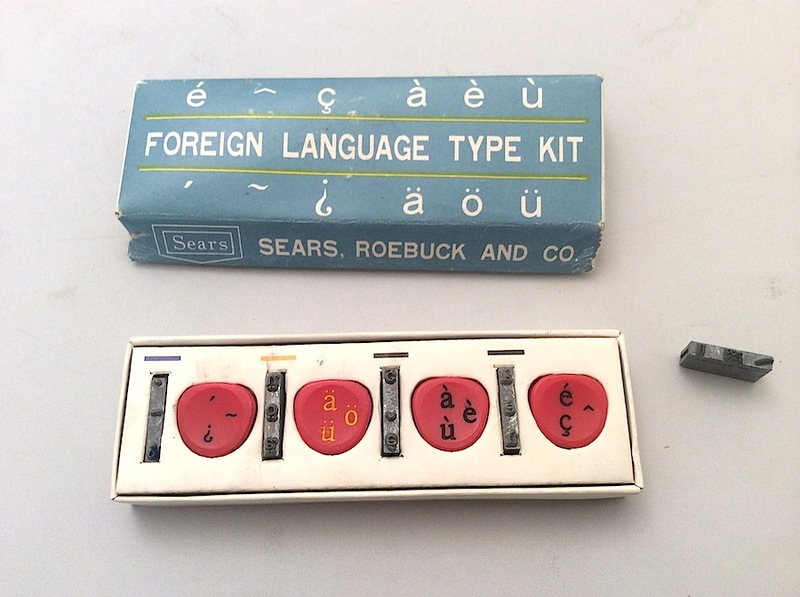 Did many actually use the foreign language kit? 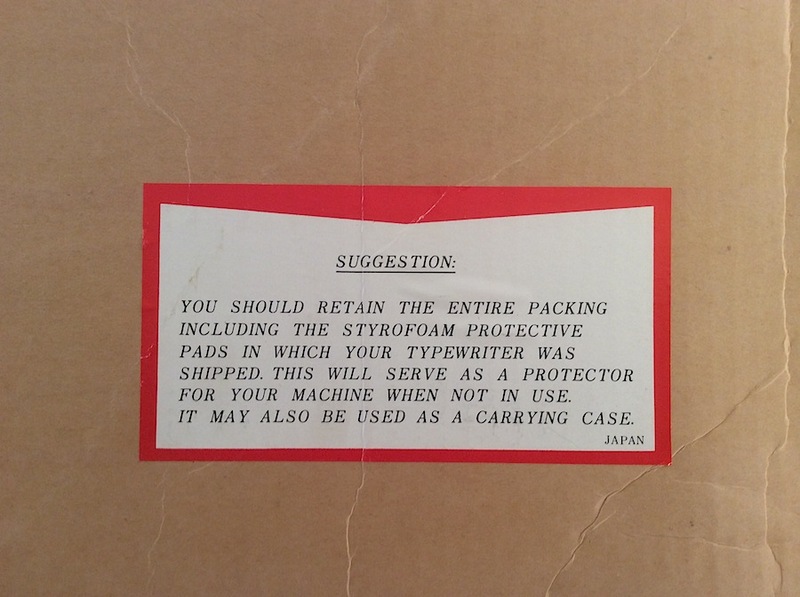 By the way, your post at TypewriterDatabase.com inspired me to look for one. That I got one for less than the sticker price (see photo above) was a real bonus. But, yes, I still paid too much! 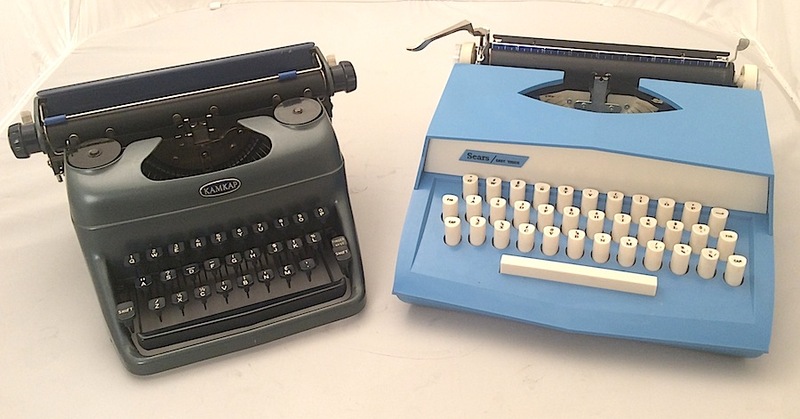 can u double space on the kids blue typewritter?